Cattle and poultry feed supplements; active pharmaceutical ingredients; organic solvents; pre and pro biotic products based on carbohydrates; pre and pro biotic products based on milk way; pre and pro biotic products based on starch. Marketing of products in the field of organic agri input. 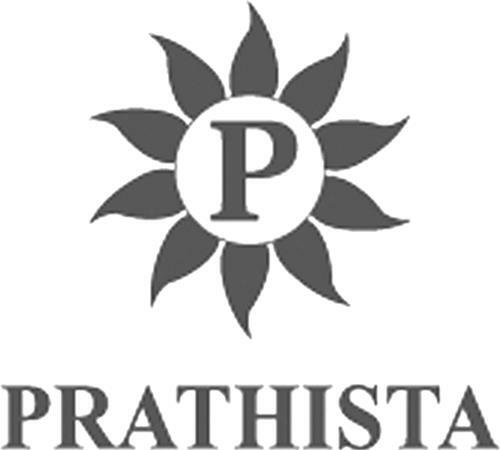 On Friday, November 14, 2008, a canadian trademark registration was filed for the above pictured logo by Prathista (Québec-Canada) Life 4397 Beaudry Avenue, Saint-Hyacinthe, QUEBEC, CANADA J2S8W2. The Canadian IP office has given the trademark application number of 1418311. The current status of this trademark filing is Interruption of proceeding. The correspondent listed for is BERESKIN & PARR LLP/S.E.N.C.R. of SCOTIA PLAZA, 40 KING STREET WEST, 40th FLOOR, ONTARIO, CANADA M5H3Y2 The trademark is filed in the description of Cattle and poultry feed supplements; active pharmaceutical ingredients; organic solvents; pre and pro biotic products based on carbohydrates; pre and pro biotic products based on milk way; pre and pro biotic products based on starch. , Marketing of products in the field of organic agri input. .
(7) Other flowers, blossoms -- Notes: (a) Including flowers or blossoms of trees (cherry trees, peach trees, apple trees) and of bushes. -- (b) Including flowers of protea and strelitzia. (1) - Cattle and poultry feed supplements; active pharmaceutical ingredients; organic solvents; pre and pro biotic products based on carbohydrates; pre and pro biotic products based on milk way; pre and pro biotic products based on starch. (2) - Marketing of products in the field of organic agri input.